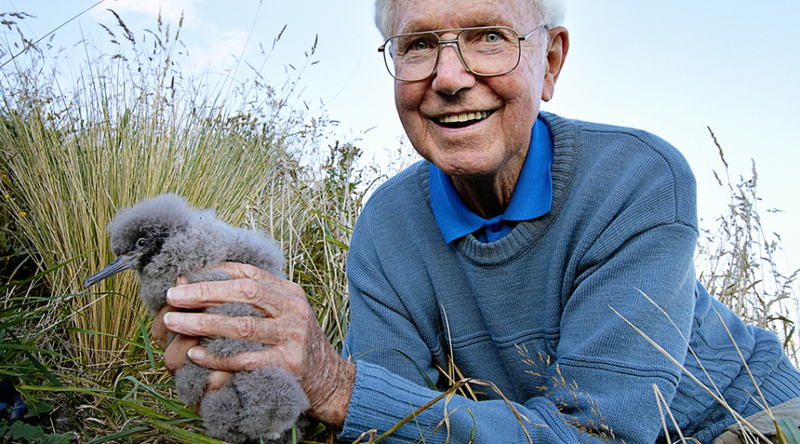 Ornithologist Geoff Harrow is recognised as the man who solved a mystery surrounding the elusive seabird, the Hutton’s Shearwater. Where did this bird breed? Until the 1960s, the precise location was unknown. Geoff, who lived and worked in Christchurch, was an experienced mountaineer and had climbed with Sir Edmund Hillary in the Himalayas. He was also interested in tramping in the back country and bird-watching. 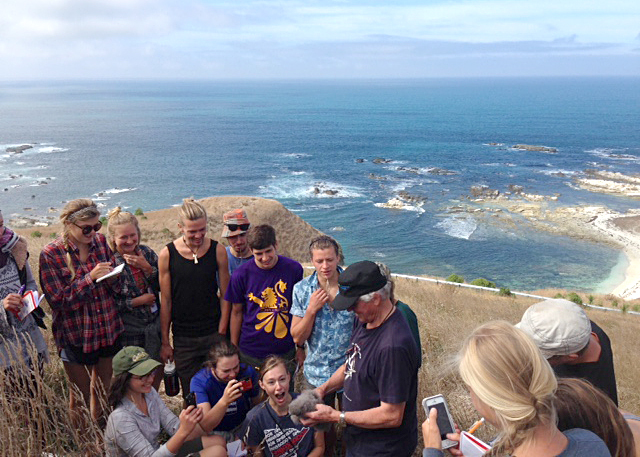 Knowledge gained from Ngai Tahu about their taonga Hutton‘s Shearwater was invaluable. As was information passed on by Kaikoura deer shooter Ivan Hislop who reported seeing burrows high in the tussocks at the head of the Kowhai Valley. Geoff’s enthusiasm to learn more about these Shearwater – a bird whose breeding biology, numbers and behaviours were poorly known – was persistent. This was the start of Geoff’s mission to document all he could about the seabird that bred in the mountains. 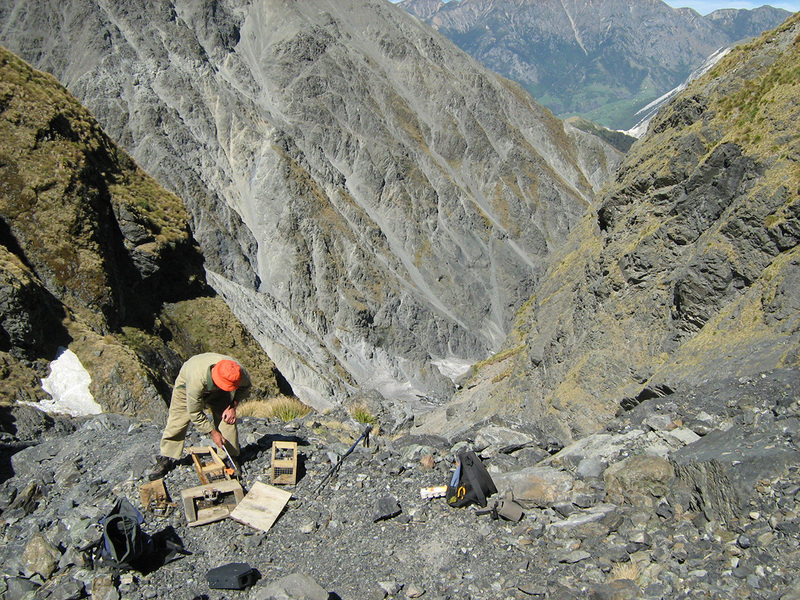 Over the next 20 years, Geoff made annual expeditions into the mountains to check on the eight colonies he had located. Unfortunately, the colonies were declining through predation by pigs and trampling of the burrows by deer, chamois and goats. Stoats were also a problem. Geoff worked with the Wildlife Service and later the Department of Conservation (DOC) to try to stop this rapid population decline. In 2015, there are only two natural colonies remaining in the mountains. Without Geoff’s dedication to the conservation of Hutton’s Shearwater, which spans 50 years, the situation may have been a lot worse. The Hutton’s Shearwater Charitable Trust, of which Geoff is the Patron and Kaumata, have created a man-made colony, known as Te Rae o Atiu, on the Kaikoura Peninsula.